The Prophet Muhammad, peace be upon him, is a central figure in the life and faith of Muslims. The story of his life is filled with inspiration, trials, triumphs, and guidance for people of all ages and times. Since ancient times, Makkah has been a central city on the trade route from Yemen to Syria. Traders from all over the region stopped through to buy and sell goods, and visit religious sites. The local Makkan tribes thus became quite wealthy, particularly the Quraish tribe. Arabs had been exposed to monotheism, as a tradition passed down from the Prophet Ibrahim (Abraham), peace be upon him. The Ka’aba in Makkah, in fact, was originally built by Ibraham as a symbol of monotheism. However, over generations, most of the Arab people had reverted to polytheism and had begun using the Ka’aba to house their stone idols. The society was oppressive and dangerous. They indulged in alcohol, gambling, blood ​feuds, and trading of women and slaves. Muhammad was born in Makkah in the year 570 C.E. to a trader named ‘Abdullah and his wife Amina. The family was part of the respected Quraish tribe. Tragically, ‘Abdullah died before his son was born. Amina was left to raise Muhammad with the help of her son’s paternal grandfather, ‘AbdulMuttalib. When Muhammad was only six years old, his mother also passed away. He was thus orphaned at a young age. Only two years after that, ‘AbdulMuttalib also died, leaving Muhammad at the age of eight in the care of his paternal uncle, Abu Talib. In his early life, Muhammad was known as a calm and sincere boy and young man. As he grew older, people called upon him to arbitrate in disputes, as he was known to be fair and truthful. When he was 25 years old, Muhammad married Khadija bint Khuwailid, a widow who was fifteen years his senior. Muhammad once described his first wife as follows: "She believed in me when no one else did; she accepted Islam when people rejected me, and she helped and comforted me when there was no one else to lend me a helping hand." Muhammad and Khadija were married for 25 years until her death. It was only after her death that Muhammad married again. The wives of the Prophet Muhammad are known as the "Mothers of the Believers." Call to Prophethood: 610 C.E. As a calm and sincere person, Muhammad was disturbed by the immoral behavior he observed around him. He would often retreat to the hills surrounding Makkah in order to contemplate. During one of these retreats, in the year 610 C.E., the angel Gabriel appeared to Muhammad and called him to Prophethood. The first verses of the Qur’an to be revealed were the words, “Read! In the name of your Lord who created, created man from a clot. Read! And your Lord is Most Bountiful. He, Who taught by the pen, taught man what he knew not." (Qur’an 96:1-5). From humble roots, the Prophet Muhammad was able to transform a corrupt, tribal land into a well-disciplined state. Find out what happened in the Prophet Muhammad's later life. Did You Know that Noah Was a Muslim Prophet? 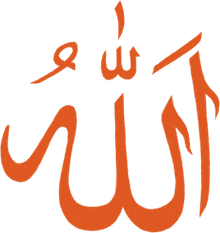 What Does the Adhan (Islamic Call to Prayer) Mean?